Sliding Windows: Weatherseal understands the desire for the comfort of the customers and thus serves this miracle Sliding Windows for the customer comfort. Sliding windows are designed keeping in mind the effortless sliding mechanism to ensure smooth operation. Hence high-quality slide material and mechanism tough enough to withstand the effects of wear and tear for a longer period is installed. The glass wall installed in the sliding windows is designed in order to give maximum comfort and aesthetics. The sliding windows at Weatherseal are manufactured in such a way so that there is no compromise in the quality, security and aesthetic features. The sliding windows are known for their smooth sliding, multi-track sliding, water resistance, dust resistance and improved ventilation. The 3 attractive colours are available to suit the customer requirements. Different structures have different demands of Windows and surely sliding Widows have an own market of theirs. 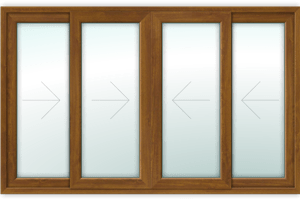 Sliding windows are an apt fit for their use, considering the ease of handling the windows makes it the perfect choice for many architects where open spaces are an issue for Window frame openings due to space constraints. Weatherseal provides a whole range of sliding Windows that are not just beautifully colored with variants that suit for different kind of Exterior and Interior shades but also ensure for a long lasting color composition that does not fade out so easily. We at Weatherseal choose a very precise composition of dye that is maintenance free for many years of its operation. Weatherseal sliding windows are made up of high-quality uPVC material that not just score high on its durability but also keep the aesthetics in check. Providing a product with immense usage and Aesthetic value, Weatherseal endures keeping its quality standards up above the mark. The simple effortless sliding mechanism of these sliding windows is contributed by the quality Slide material and mechanism that stands tough against any amount of usage. The glass wall used for Weatherseal sliding windows provides a comforting ambiance for any ordinary room adding to it a contemporary look. Its framework always allows natural light and fresh air when in use. Weatherseal sliding windows have always maintained high standards of security features in all its products and also delivering the need for pleasant appearance and simple operating mechanism. Weatherseal sliding windows are efficient and energetic to protect your home space from sunlight and rain water. weatherseal sliding window comes with different tracks to set infallible appearance to your home. Weatherseal sliding windows are specially designed to reach all the expectations of customer. Weatherseal sliding window comes with four variant colors which exactly suitable to Indian weather conditions. All the sliding windows has single point locking system as well as multi point locking system to give ultra modern security to your home. Weatherseal sliding windows are manufactured with world class technology and high quality hardware to increase the durability and strength of the sliding window. Weatherseal is offering 20 years of warranty on all the windows. Sliding window comes with stainless steel or nylon mesh to protect you from mosquitoes and bugs even if the window is opened. Weatherseal sliding windows are perfectly suitable for kitchen, Living area, study room etc. Weatherseal sliding windows are made with high quality profile which has high percentage of titanium dioxide to give the more whitening and thermal reflection to avoid the heat. Weatherseal windows are made with low percentage of calcium carbonate to increase the weld strength and flexibility. Weatherseal sliding windows are high strengthened with GI Box reinforcement to bear maximum wind pressure at all the weather conditions. Gift your home quality and appearance with Weatherseal sliding windows. Sliding window comes with different designs like 2 shutters with, 3 shutters with mesh and four shutters with mesh. Also, we can customize sliding windows as per customer requirement like bottom fixed top sliding, top fixed bottom sliding. All the sliding windows comes with Antitheft mechanism to give great security, so customer can be unconcerned. Provides wider opening allowing uninterrupted Fresh Air. Designed aesthetically by world class experts. Protection from bugs even if window is opened. Comes with 10+ glass varients. Service issues will be solved within 24 hrs. Remini handle with cylinder locking.